Abstract: The 30-year fixed-rate fully amortizing mortgage (or “traditional fixed-rate mortgage”) was a substantial innovation when first developed during the Great Depression. However, it has three major flaws. First, because homeowner equity accumulates slowly during the first decade, homeowners are essentially renting their homes from lenders. With so little equity accumulation, many lenders require large down payments. Second, in each monthly mortgage payment, homeowners substantially compensate capital markets investors for the ability to prepay. The homeowner might have better uses for this money. Third, refinancing mortgages is often very costly. We propose a new fixed-rate mortgage, called the Fixed-Payment-COFI mortgage (or “Fixed-COFI mortgage”), that resolves these three flaws. This mortgage has fixed monthly payments equal to payments for traditional fixed-rate mortgages and no down payment. Also, unlike traditional fixed-rate mortgages, Fixed-COFI mortgages do not bundle mortgage financing with compensation paid to capital markets investors for bearing prepayment risks; instead, this money is directed toward purchasing the home. The Fixed-COFI mortgage exploits the often-present prepayment-risk wedge between the fixed-rate mortgage rate and the estimated cost of funds index (COFI) mortgage rate. Committing to a savings program based on the difference between fixed-rate mortgage payments and payments based on COFI plus a margin, the homeowner uses this wedge to accumulate home equity quickly. In addition, the Fixed-COFI mortgage is a highly profitable asset for many mortgage lenders. Fixed-COFI mortgages may help some renters gain access to homeownership. These renters may be, for example, paying rents as high as comparable mortgage payments in high-cost metropolitan areas but do not have enough savings for a down payment. The Fixed-COFI mortgage may help such renters, among others, purchase homes. 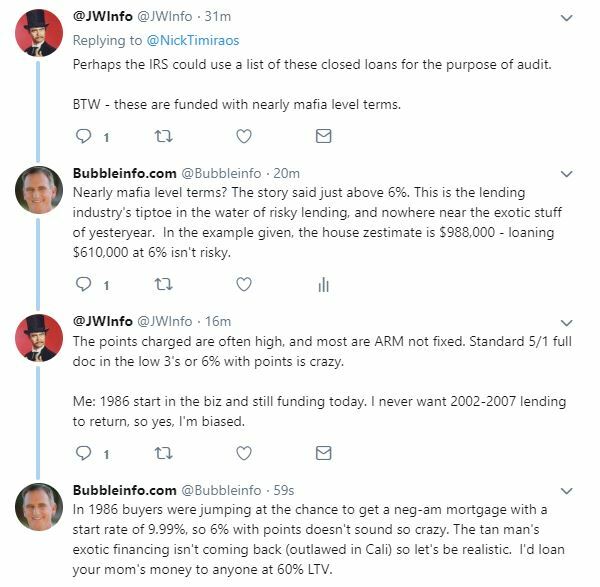 JtR: This sounds like the reverse of a neg-am mortgage, or a positive-amortizing loan where borrowers have a fixed payment as a ceiling, and then when rates float down, the difference is applied to the principal. But how much potential is there for your rate to drop when we’re at all-time lows? Maybe they are preparing a loan option for the day that rates rise substantially? No wonder we haven’t seen many foreclosures around CV! There have only been 15 detached REO listings close this year in the 92130, and only one was over $1,000,000 – the one we saw in Collins Ranch for $1,061,000. This is a zip code whose average sales price this year is $1,023,763, and 132 of the 373 sales (35%) have closed over $1,000,000. Remember way back in 2006, when everyone was in a frenzy to buy a house, any house, with whatever mortgage they could grab? In many cases, it meant signing up for adjustable-rate mortgages that would reset in half a decade. Move forward those five years and here we are. For the next 13 months, some $20 billion in adjustable-rate loans are scheduled to reset every month, according to figures from Credit Suisse. 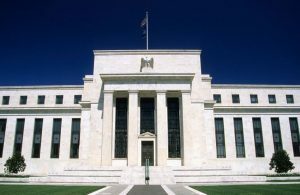 That means the interest rates and monthly payments will adjust — in most cases, downward, because of interest rate declines. Homeowners will have to decide whether to keep their loans or replace them with a refinance. In a few cases, the adjustment of interest-only loans will make the monthly payments go up, even if their interest rates go down. “As CEO, I accept responsibility for our performance and am deeply saddened by what happened,” said Kerry K. Killinger, WaMu’s former chief executive. But he and other executives said in their prepared remarks that they had worked to limit the company’s mortgage lending as the housing market began slowing and that, more than anything else, the bank was overtaken by economic events out of its control. Stephen J. Rotella, WaMu’s former president and chief operating officer, testified in his prepared remarks that he and others worked to reduce the company’s exposure to the deteriorating housing market but were unable to do enough — or to anticipate the historic market collapse. “The executive team and all of our people worked very hard to mitigate those risks right up until the seizure and sale of the bank,” Rotella said. Residential servicers, a sector that is grappling with a potential tidal wave of loan modifications, are beginning to hire “like crazy” according to Mary Coffin, a senior servicing executive with Wells Fargo Home Mortgage. Ms. Coffin, speaking at SourceMedia’s Loan Modifications Conference in Dallas, noted that new servicing employees working on modifications are receiving four to five weeks of training in order to deal with the volumes they are facing. She said servicers are going much deeper in collecting financial information from the borrower. Ms. Coffin described a transformation of servicers and what has evolved as the foreclosure crisis began and where the company sits today. “In the old way of doing business, when the borrower first went delinquent, we would start with a repayment program. They don’t work to the point to where we have almost tried to get rid of them. It is a circular process that ultimately ends up with a different solution that needs to be found,” she told conference attendees. The Wells executive noted there has been confusion regarding documentation under the government’s Home Affordable Modification Program, including re-requesting documents from borrowers and instances of losing documents. “We are still dealing with pulling documents. We have gone back to the administration and I’d like to thank them. They already streamlined the documentation requirements for the HAMP. If we receive what are called the ‘critical documents’ then we are able to do the underwriting and the decisioning that we don’t turn the customer down if every paper is not signed perfectly. That’s a real plus,” said Ms. Coffin. Wells is trying to be as innovative as possible, working with external third-party providers, using phone calls, mail, door-knockers, branches, its sales teams, everything possible to help these borrowers get these documents in and finalized. Wells is seeing short-term modifications as another solution for people who are able to regain employment immediately or who require only a short-term mod. It is taking an aggressive approach to the option ARMs from Wachovia. It is the one area where Ms. Coffin says they are doing principal forgiveness. Early on, after analyzing its portfolio, Wells quickly saw that yes, HAMP was going to be a great tool and valuable to use, but it was not going to save 100% of their problems. This included the payment-reduction mod and the implementation of a full-quality review so no loan can go to a foreclosure before it actually goes through a quality review test to make sure all opportunities have been reviewed. “These loans are going through multiple looks before they ever go to the foreclosure sale,” she said. After the creation of the HAMP program, the volume for Wells jumped to over 40% of borrowers who were current on their mortgage that tried to get modifications. Because of all the attention on modifications “we went from a day when borrowers who were truly in need called to say, ‘What can I do?’ and we know what to do. Now we are sorting through hundreds of calls from borrowers who have been educated to some extent. We are still educating them on what you truly have to look like before you can get a modification,” she said. Do Lower Rates Help Recasts? Let examine what happens when an option-arm recasts – DO TODAY’S LOWER RATES HELP? If the borrower only makes the minimum payment, the $1,231.84 is added to the loan balance. I plotted the monthly payments in our example using the actual monthly MTA rates, and added the index to compute where the loan balance would be today. Coincidentially, the rising loan balance would be hitting the 115% mark, or $575,000, right about now – if the borrower only made the minimum payment. The increase in monthly payment after recasting would be $716.96 per month. Even with lower rates, that’s a hefty increase for a rental property, especially one with a long-term lease, – the difference will be coming out of the borrower’s pocket. Owner-occupants might cough up the difference, in order to save the home they live in, but will tenants ante up more rent when their lease expires? Not likely, and the landlords aren’t going to enjoy the pain long-term, unless they are really committed to saving their credit score. The $716.96 is the difference at recast on a beginning loan balance of $500,000, you can extrapolate to determine what this means for those at higher price points. If lenders would waive the recasts, this problem could be averted. But I haven’t heard of any.